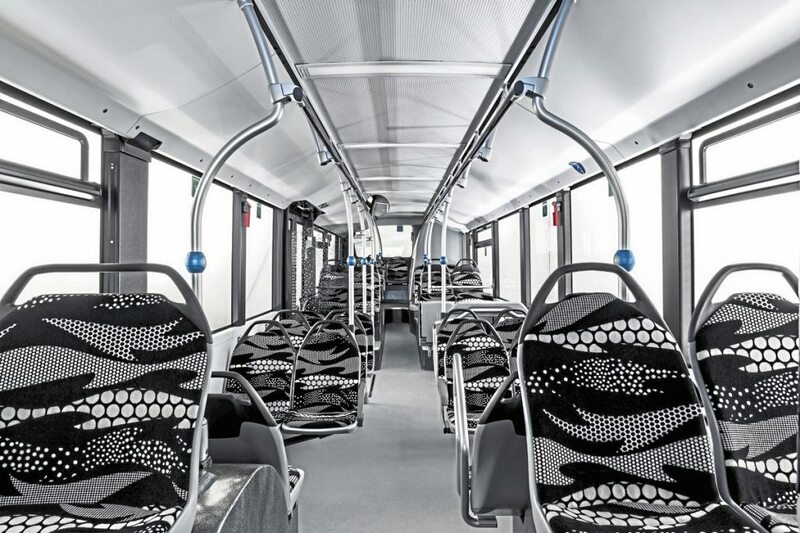 Daimler unveiled its electric Citaro prototype earlier this year (B&CB Issue 1471, 16 March) but, in advance of the IAA exhibition, revealed how it will look inside and out, and set out what the next driveline development stages are. Back in March the bus shown had the front of a standard Citaro and the roof section was covered in disguise vinyls to conceal its lines; now the frontal appearance is a bolder one derived from the look developed for the Future Bus project, and the roof can be seen to be very cleanly shrouded to give quite a sleek outline with no protruding humps. Cleverly, the aluminium extrusion used for the roof side panelling is in two colours, the lower part black, so that it appears as an extension to the glazing, fooling the eye into believing the roof is much shallower. Though the side profile is different in the upper area to the standard diesel Citaro, the majority of it remains identical. 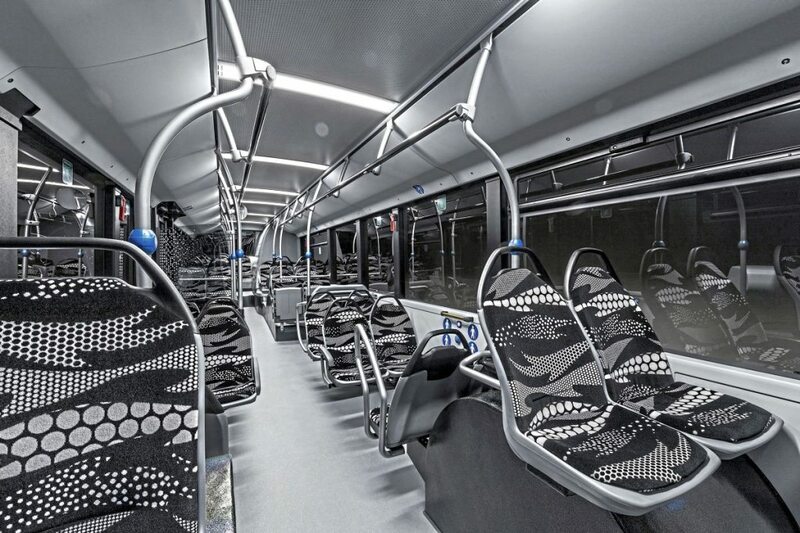 Inside, too, the look is different, heralding new styling that will be applied subsequently across the Citaro range. The changes reduce the number of components that need to be installed. Daimler describe the ceiling as ‘coffered’ but it doesn’t have the regular square or rectangular sunken sections this suggests, rather it has a flat or very slightly arched continuous centre section with a pegboard surface and evenly-spaced LED light and loudspeaker units running across the width of the bus. Along the ceiling edges, rounded coves house a new air circulation system with textile rather than plastic ducts. Window pillars and sills are now trimmed in black. The seat trim used had a distinctive black and white pattern. But the essence of the eCitaro is not how it looks; it is all about what it can do for the environment, how future-proof it will be and how easy it will be to operate. 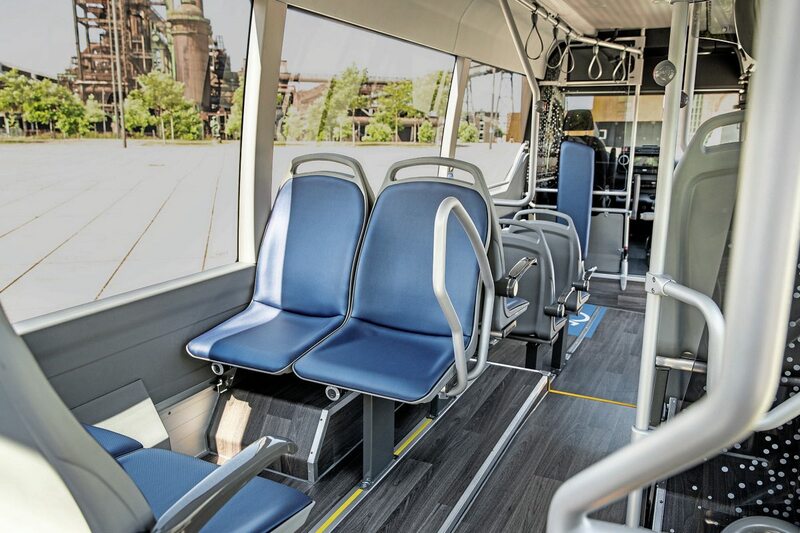 The automotive world is changing and buses are at the forefront of the changes because they operate in the most environmentally sensitive areas; towns and cities. With Daimler Buses set to invest Euros200m in the fields of electric, connected and automated driving over the next three years, Martin Daum, Member of the Board of Management of Daimler AG responsible for Daimler Trucks & Buses, observed: “With our world premiere today, we are shaping the future of the public transport network – and that is of great significance to our customers, to society and of course to us at Daimler Trucks & Buses as well. Gustav Tuschen, Head of Product Engineering, made it quite clear that Daimler does not believe opportunity charging is the way forward for emobility buses, because it increases infrastructure costs and complexity, and though Daimler can and will supply buses with pantographs (from 2019, roof rails later) to enable this charging mode, it prefers to progressively develop the range of its electric buses to make regular power top-ups away from the depot unnecessary. This extension of range will be achieved in phases, each increasing the percentage of current routes that its electric buses will have the autonomy to perform. The first phase, described to us in March, is for buses equipped with current generation Lithium-ion NMC batteries with a capacity of 243kWh which would give it a theoretical maximum range in ideal conditions of 250km, but what it describes as a ‘system relevant’ range of around 150km. This would suit it for only around 30% of current European duty cycles. By 2020, Daimler will be installing the next generation of Lithium-ion NMC batteries which will give a power output of around 330kWh giving a system-relevant range of 200km equivalent to around 50% of routes. It will be possible for operators to update the modules for the new ones. 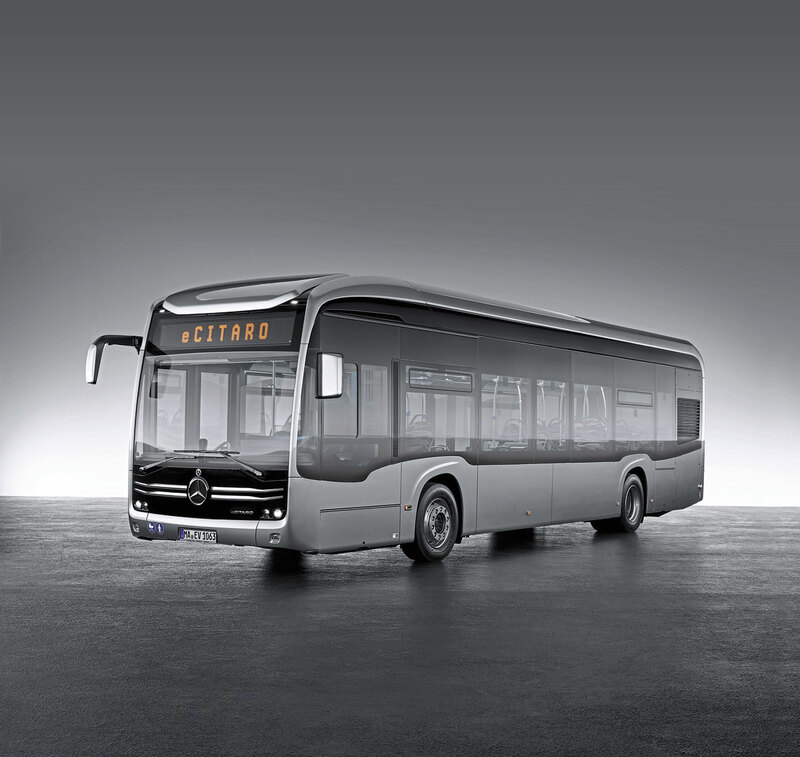 With the arrival of the second generation, Daimler will introduce the articulated eCitaro G.
In the same year, Daimler will begin offering an alternative technology alongside the Lithium-ion options. This will be a Lithium polymer solid-state battery developed in conjunction with the French company, Blue Solutions. Part of the Bolloré group, it will continue to market batteries in its own right. Lighter but bigger than the NMC units (with which they are not compatible), the solid-state batteries offer a range of 250km, making them eCitaros equipped with them capable of covering 250km on a charge. Daimler claims this enables them to perform 75% of European duty cycles. Another benefit is that while NMC batteries are guaranteed to last five years and Daimler expects them to last between 5-7 years, solid state batteries will last much longer, with a warranted usable life of ten years. The reason two alternative technologies will be offered is that each offers different advantages. Solid-state batteries cannot be fast charged, they have to be charged slowly over a prolonged period, but carry a considerable charge and once charged they discharge slowly and will run for a long time before they need recharging. Yet another option will be introduced in 2022, and this will really up the game in terms of range. It will see the eCitaro gain the option of an in-house developed fuel-cell range-extender which will take the system-relevant figure all the way to 400km, which Daimler believes is close to giving 100% coverage of European duty cycles. 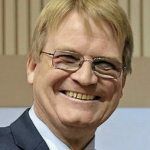 It is unusual for a manufacturer to divulge what the next improvements will be before the first production examples have taken to the road, but Daimler reasons that it needs to inform operators and authorities in order that they make better investment decisions. Although it will be able to supply opportunity charging solutions if they are requested, the company believes that within a relatively short time it will have electric bus products offering the range to perform 90% to 100% of European routes without the need for topping up during the day: “If operators go for opportunity charging now, they are making a 20-year decision,” says Daimler. Extending range isn’t simply a matter of increasing battery capacity. If more can be done to reduce the power load the bus requires, this can also extend range. 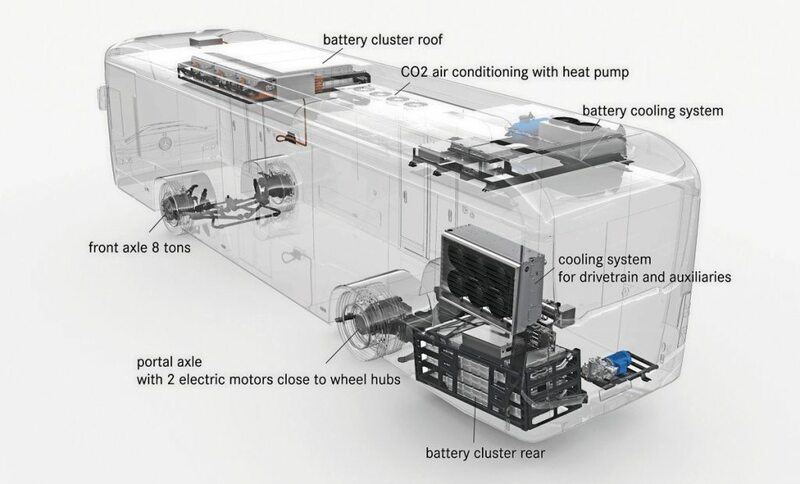 When the outside temperature is -10°C, the power requirement of a heated bus can double, halving its range, Daimler has looked closely at thermal management, adopted recently developed technologies and reduced the power requirement for heating, climate control and ventilation by around 40%. Key to this is the use of a CO2 heat pump for the air conditioning. 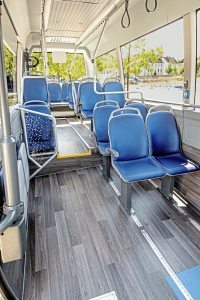 In a question and answer session, noting that the Citaro hybrid employs 48V electrics, a journalist asked whether it would be possible to develop full electrics that used 48V systems rather than high voltages. He was told it was impossible because the power demand was too high. Since the disappearance of the Vario and the Sprinter 616 model, which was popular for bus and coach applications but little else, the Mercedes-Benz PCV range has been missing an option between the 5-tonne Sprinter and the lighter members of the Atego truck range. Going some way towards bridging this gap is a new Sprinter with a 6.8 tonne GVW. Developed entirely by the bus and coach team and only available as a complete bus through the EvoBus sales network (not as a chassis), the 8.42m Sprinter City 75 has a long lowfloor area between the axles facilitated by a 5.095m wheelbase. 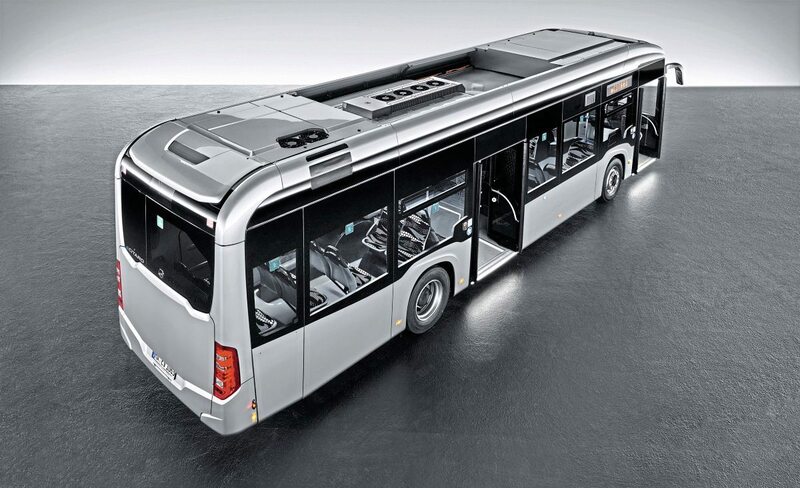 Enabling the weight increase is a new 5-tonne capacity rear axle developed by and built only for Mercedes-Benz minibuses. The first version of a heavyweight Sprinter, available only in left-hand drive, featured twin rear axles. The braking system has also been uprated. The first complete Sprinter City 75 was unveiled alongside the eCitaro and the length of the wheelbase was immediately evident. Stylish in appearance externally, it was a two-door variant with one door at the nearside rear and the other to the rear of the front axle. Inside, the lowfloor area slopes slightly towards the nearside to enable the stepless entrance to be achieved, a slightly unusual effect of this being that the step up to the raised rear section goes from a slope at the bottom to level at the top. In the cab, a large central control panel houses all the key bus controls. I understand that either the left-hand drive vehicle shown or another currently in build will make an appearance at the NEC show later this year, because unlike its predecessor, the tri-axle City 77, it will be offered in the UK. Power comes from the OM651 2.14-litre engine rated at 163hp/120kW matched to the 7G-Tronic Plus automatic transmission. The Mercedes V6 engine will not be an option. It is 2.02m wide and 3.0m high. No price was revealed but I understand it will be less than the City 77 was, but still over £100,000. A maximum of 20 seats can be installed in the two-door version, within the overall maximum capacity of 39 passengers. Although customers are still being consulted before determining the City 75’s UK specification, seating capacities are likely to be higher as they will not have the rear entrance door, though an emergency door of some kind, probably on the offside in the low floor area, will be needed. 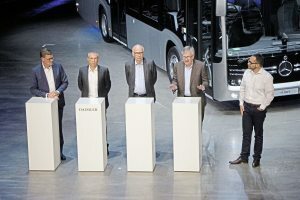 The Dortmund plant, which recently completed its 25,000th minibus, will be gradually introducing a full range of 20 minibus models based on the new Sprinter, as production of the base vehicles comes on stream. As well as the City 75 and the smaller City 45 there will be four models in the Transfer range between the 5.9m Sprinter Transfer 23 and, with an extended rear, the 7.7m Sprinter Transfer 55. The Sprinter Mobility range includes the Mobility 45 which now has a revised floor with a platform over the rear wheelarches enabling two wheelchairs to be located side by side. Production will start at the end of the year with the Transfer 23 and 35, the Mobility 23 and the City 75. All other variants including those in the Sprinter Travel coach range will follow by autumn 2019. Not all variants are available in right-hand drive. 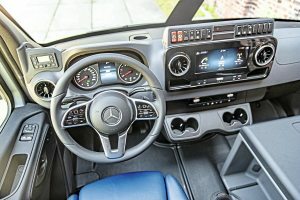 UK Director Mercedes-Benz Sales, Marcus Watts, confirmed that eCitaro will be coming to the UK, though not until 2020, missing out phase 1 of the development process and going directly to phase 2, by which time it will be available with batteries providing between 330-378kWh, depending on the number of batteries installed. He further confirmed that both the solid state battery option and the fuel cell range extender will also be offered here. Sprinter 75 will be available during the second half of 2019, although the UK specification has yet to be finalised. The various safety upgrades announced will see ABA4 fitted as standard on Tourismo from May 2019. Both Citaro and Tourismo can be purchased with Sideguard Assist from the end of 2018 and Preventive Brake Assist will be an option on the Citaro from the same time. I have previously criticised the time Daimler has taken to come up with its electric bus options, but as Martin Daum pointed out, the winners will be those that come up with the best products. To be winners, they have to work, they have to be reliable and they have to do that for the expected life of the bus. 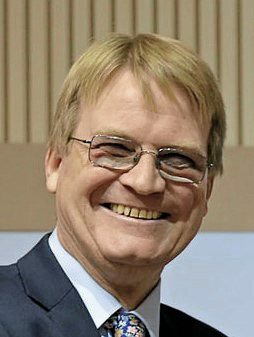 Daimler is confident that the eCitaro and its planned successors will do that. They won’t be cheap, at more than twice the cost of an equivalent diesel, but there are going to be options that will offer a comparable degree of range and longevity to the diesels that have been virtually the only game in town for the best part of a century. 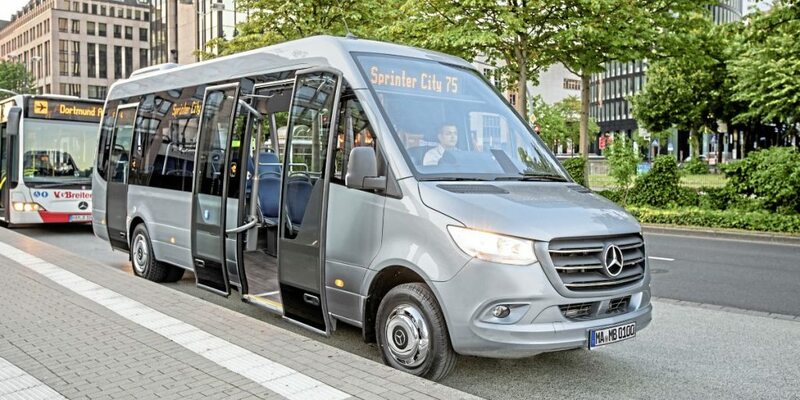 Perhaps not as exciting but still potentially very interesting for the UK, the Sprinter City 75 will add another string to Mercedes-Benz’s bow in the UK market. For anyone considering visiting the IAA exhibition, there will be plenty to keep you occupied on the Daimler stand.